Remote management of finances in “Oschad 24/7”. 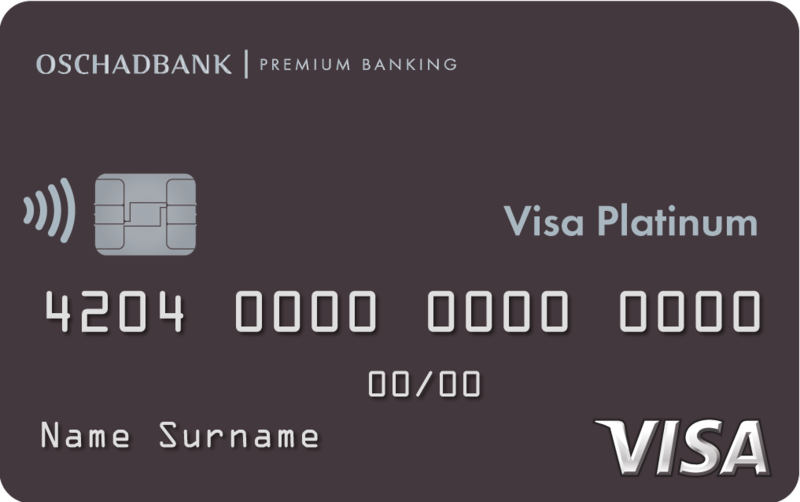 Premium card with higher level of security and technology of non-contact accounts. It will be indispensable once you get used to the high quality service and convenience. Profitable shopping with Visa in the chain of boutiques-cities Chic Outlet Shopping. 15% discounts in Shopping Express and up tо 20% discounts at our chain of partners (Diesel, Tommy Hilfiger, Walker, TSARSKY City Resort, Restaurant “Prague”, etc. ), tax expense return. 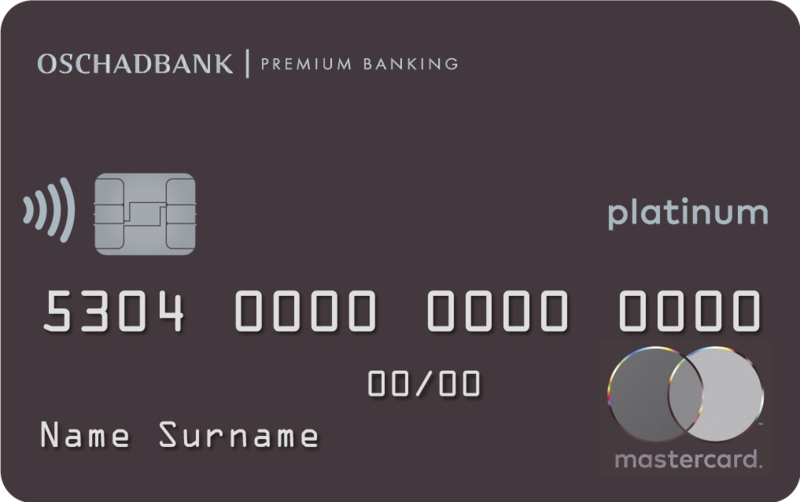 Premium card underscores your status and provides access to many special offers and discounts. Profitable shopping with Visa in the chain of boutiques-cities of Chic Outlet Shopping. 15% discount in Shopping Express and up to 20% discount at our chain of partners (Diesel, Tommy Hilfiger, Walker, TSARSKY City Resort, Restaurant “Prague”, etc. ), tax expense return. The most prestigious card for demanding clients. A combination of exquisite design and unique offers will single you out and meet your exclusive service needs. Taking part in Masterсard Rewards bonus program. 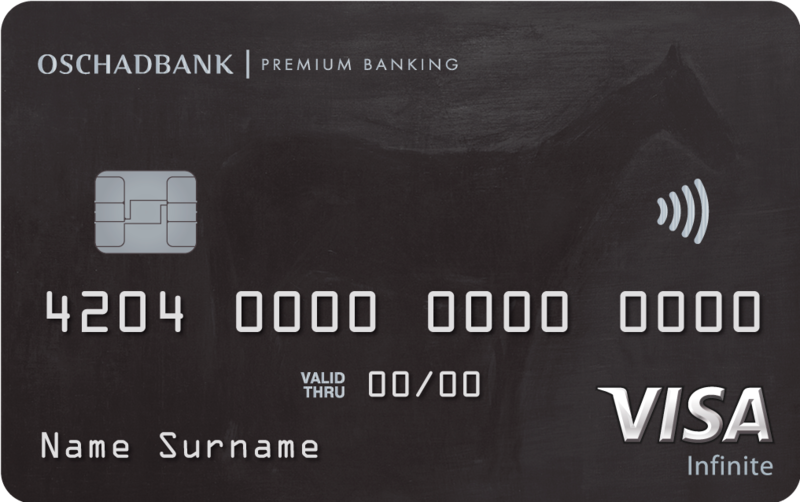 A prestigious card which underscores your status. 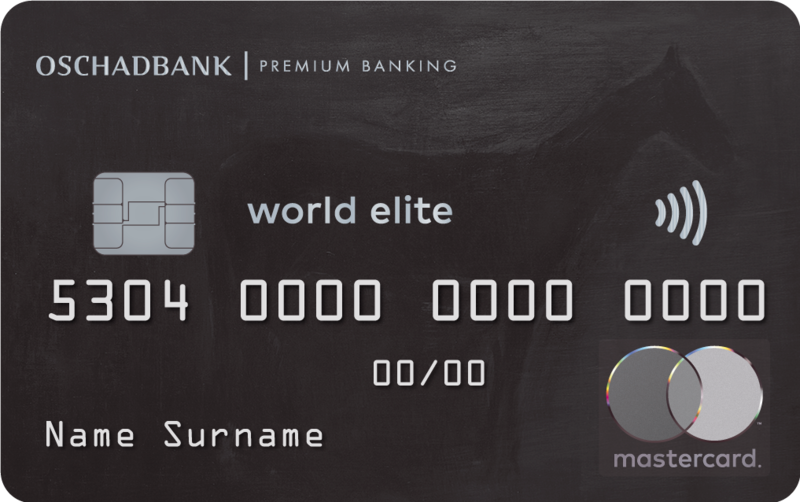 Take advantage of all the benefits from Oschadbank, payment system and companies-partners from any place in the world.